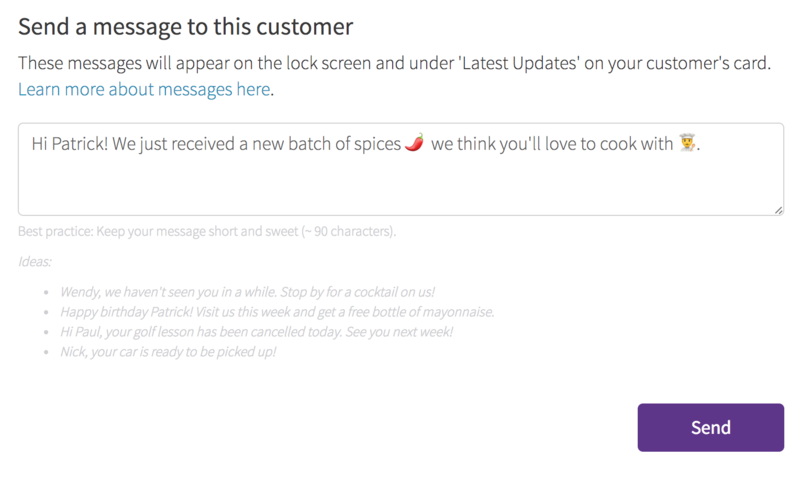 Send a very personalized message to a specific customer. Go to the 'Customers' page in Loopy Loyalty. Click on 'Actions' to view a specific Customer's profile. Click on 'Send Messages' at the top. Enter your message and hit 'Send'! Hi Patrick! We just received a new batch of spices 🌶 we think you'll love to cook with 👨‍🍳.